Data loss prevention (DLP) tools have gone from being a cool toy to a minimum requirement, expected by clients and regulators. With 2011 providing very high profile data breeches such as RSA (ironically a major DLP vendor), Sony, etc DLP is more important than ever. Implementing DLP is not a simple project however, requiring a tricky mix of process, people and technology. There are many prioritization decisions that can make the project sink or swim. 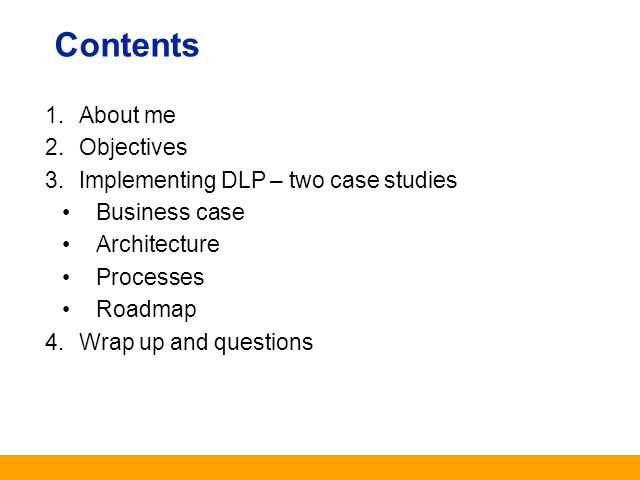 This talk focuses on case studies and lessons learnt to help your DLP project succeed.